Lying in the heart of the dramatic Dolomites, Val Gardena is famous for its World Cup ski races and Selva is the best known resort in this area, also known as the South Tyrol, with access to much of the Dolomites Superski area as well as the Sella Ronda - a 26km circular tour with well groomed pistes and modern efficient lift systems. A favourite destination for British visitors and affectionately known as the ‘holiday valley of the Dolomite’, Val Gardena is a fantastic ski area situated in the charming alpine region of South Tyrol. With stunning scenery, idyllic pistes and enchanting wooden chalet-style accommodation, the region has all the ingredients for your next superb ski holiday. Visitors to Val Gardena can choose to stay in one of three attractive villages, Ortisei, S.Cristina or Selva and make the most of the 1,200 km of pristine slopes. Breathtaking scenery greets you as you arrive in Selva, a charming Italian skiing village ideally positioned amidst one of the most extensive and panoramic ski areas in Europe. The resort enjoys a marvellous combination of all that is best of both Italian and Austrian traditions, whilst proudly retaining its local Ladino culture. It offers stunning winter walks, testing cross country trails and ice skating, whilst for those looking to enjoy the apres ski, there are several bierkellers, bars and pubs to entertain. 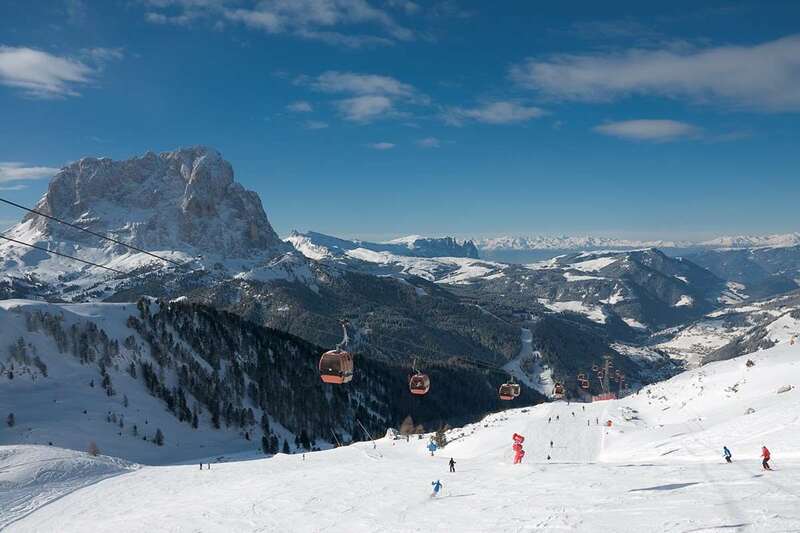 There is a variety of slopes across the resorts in Val Gardena, advanced skiers will love the Saslong World Cup piste and the Dolomiti Superski area whilst skiers of all levels can enjoy leisurely pursuits on the Sella Ronda circuit. The area has extensive snow making facilities, ensuring excellent cover throughout the season. In Val Gardena there are numerous bars and the atmosphere is always lively and informal. Enjoy great music and cocktails from a stylish local lounge bar or admire the striking scenery and indulge in gourmet delights from any of the perfectly placed restaurants. The popular Saltas Bar and the Luisl Keller and La Bula has lively après ski with a DJ. The energetic head for the Dali disco. The local cuisine is a wonderful blend of Austrian and Italian specialities and there is a range of restaurants · The Sal Feur or Miravalle Restaurants, Rino's for scrumptious pizzas and the Scoiattolo for local specialities. The Costabella has a fantastic range of pasta dishes. 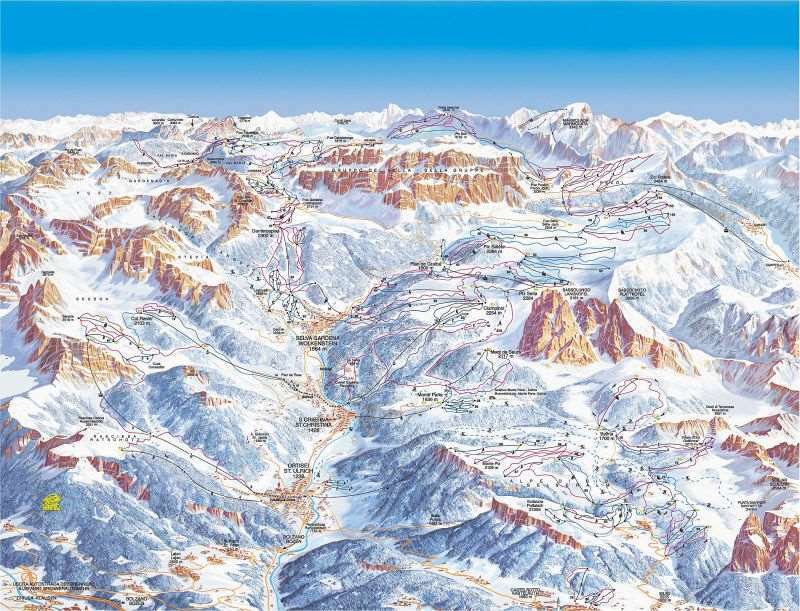 There are several airports surround the ski resort for tourists visiting Selva the closest being Bolzano (BZO) which is around a 50 minutes car transfer away. Brilliant week in the Italian Dolomites. The area has benefited from continued infrastructure investment. Would highly recommend the Hotel Linder for location, service and food. Italy continues to be excellent value.